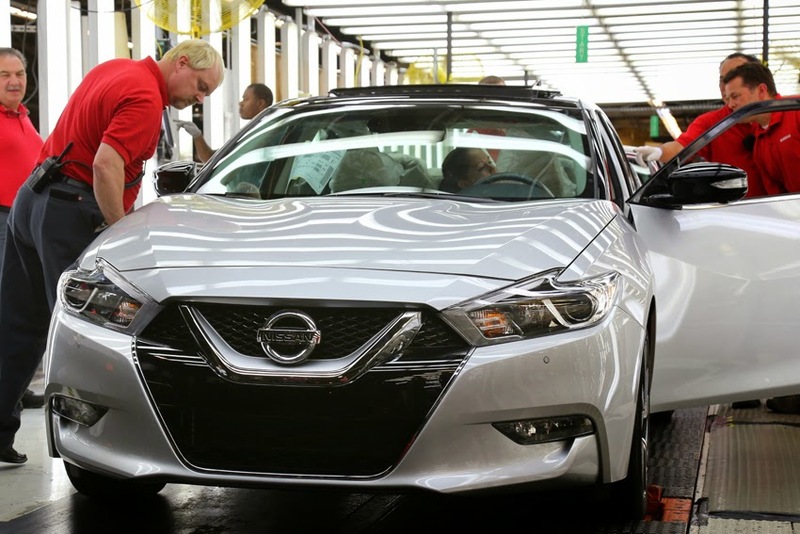 employees to celebrate the start of production for the all-new 2016 Nissan Maxima. "When Nissan came to Tennessee more than 30 years ago, there were almost no auto jobs in the state," said Alexander. "Three decades later, about one-third of our manufacturing jobs are auto related, auto suppliers have located in 80 counties, and our family incomes are higher. I want to thank Nissan for providing opportunities for thousands of talented Tennesseans." The eighth generation of Nissan's iconic '4-door sports car' combines 300 hp performance with a bold exterior design, premium interior cockpit and an extensive range of safety, security and driving aids, including Predictive Forward Collision Warning, Forward Emergency Braking, Rear Cross Traffic Alert and Blind Spot Warning. It also features Nissan's new Driver Attention Alert system, which monitors steering input patterns to help alert the driver when drowsy or inattentive driving is detected. The 2016 Maxima will be available at US Nissan dealerships this summer. "Today's launch of the all-new Maxima is the beginning of an exciting year for Nissan's US line-up, with new versions of the Altima, Sentra and Titan due later this year," said John Martin, Nissan's Senior VP, Manufacturing, Supply Chain Management and Purchasing.